An FBI legend, a mysterious antiquities specialist and a brazen art thief draw top FBI agents Emma Sharpe and Colin Donovan into a complex web of blackmail, greed and murder in the eagerly awaited new novel in the highly acclaimed Sharpe & Donovan series Emma Sharpe is suspicious when retired Special Agent Gordon Wheelock, a legend in FBI art crimes, drops by her Boston office for a visit. Gordy says he's heard rumors about stolen ancient mosaics. Emma, an art crimes specialist herself, won't discuss the rumors. Especially since they involve Oliver York, an unrepentant English art thief. Gordy and Emma's grandfather, a renowned private art detective, chased Oliver for a decade. Gordy knows Wendell Sharpe didn't give him everything he had on the thief. Even now, Oliver will never be prosecuted. When a shocking death occurs, Emma is drawn into the investigation. The evidence points to a deadly conspiracy between Wendell and Oliver, and Emma's fianc , deep cover agent Colin Donovan, knows he can't stay out of this one. He also knows there will be questions about Emma's role and where her loyalties lie. From Boston to Maine to Ireland, Emma and Colin track a dangerous killer as the lives of their family and friends are at stake. With the help of their friend, Irish priest Finian Bracken, and Emma's brother, Lucas, the Sharpes and Donovans must band together to stop a killer. 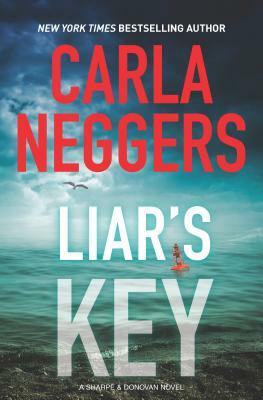 No one creates exciting, action-packed romantic suspense and international intrigue like New York Times bestselling author Carla Neggers.